Fifteen prizes over five categories were awarded in 2017. The 2017 winning entries were announced at the Society’s Conference at Keele University. Awards were presented on 2nd August and all entries were exhibited at the Conference for the duration. Choose from the tabs below to see the winning entries. Full Harmatan goatskin with printed doublures. Feathered onlays, airbrushed dyes, inkjet printing and blind blocking. Edges of airbrushed acrylics and debossed gold leaf. Box with magnetic panel concealing a pamphlet binding that contains the original illustrations and reprinted maps. Bound in natural goat parchment. The spine is connected to the boards via a carefully thought out hinge system. Endbands in green leather. Fine décor drawings complete the parchment onlays on the cover and underline the meaning of the decoration: a way to find the gradual transition from classical cover decoration to Bauhaus. 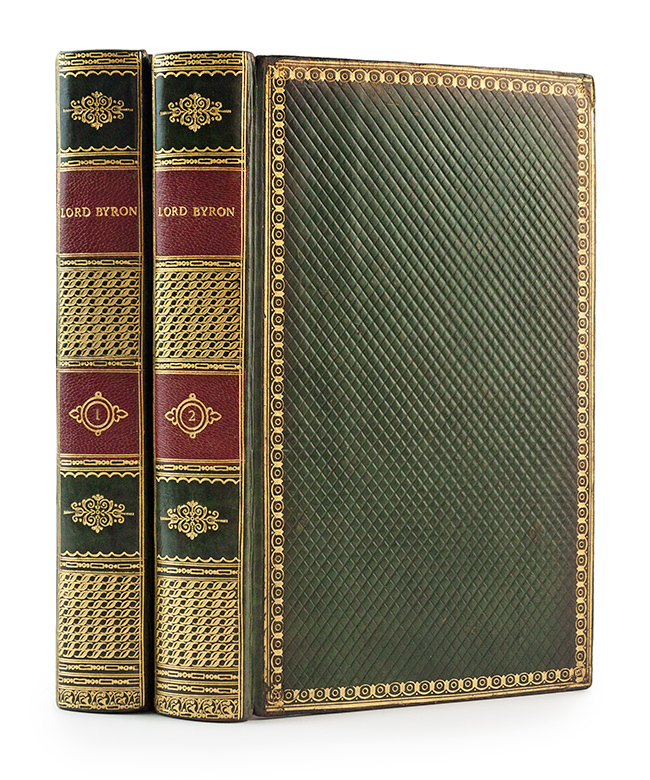 Bound in white calf parchment, intricately coloured on both boards. The decoration is completed by fine drawings and small gilded spots that attract the eye, constantly hinting at alternative interpretations of the design. Multi-coloured silk endbands in the French style. Graphite edge decoration at the head. 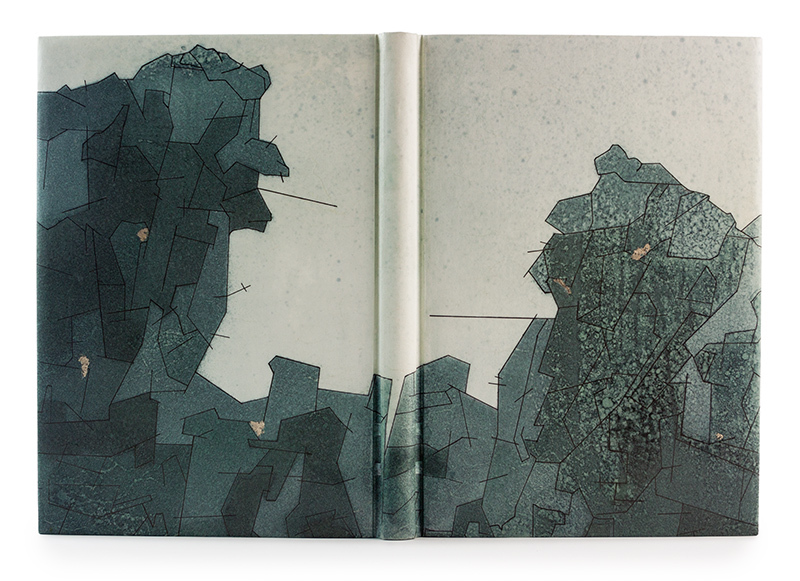 Endpapers in delicate handmade paper. 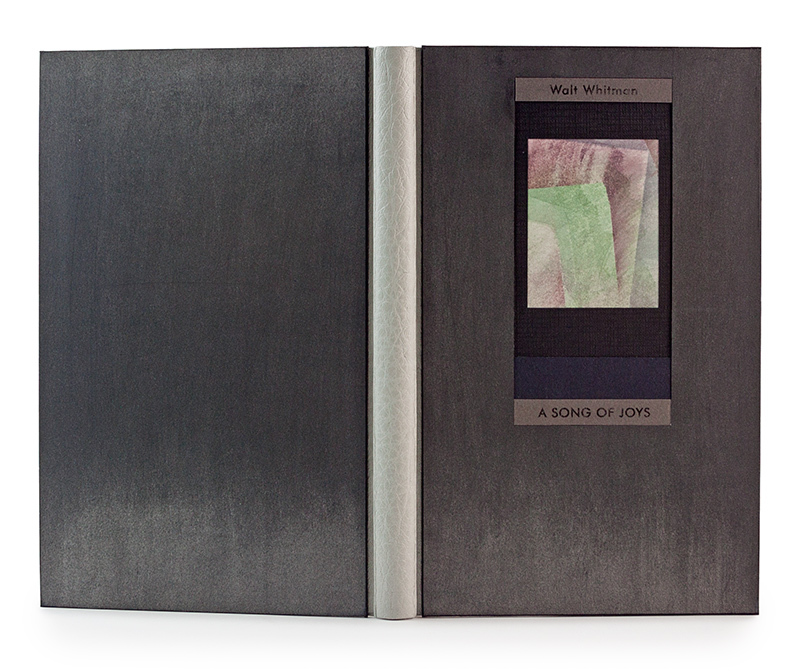 SpainA Song of JoysCase binding with grey-blue leather spine and sanded grey cardboard covers. Inset of painted paper on front cover. Lokta paper endleaves. 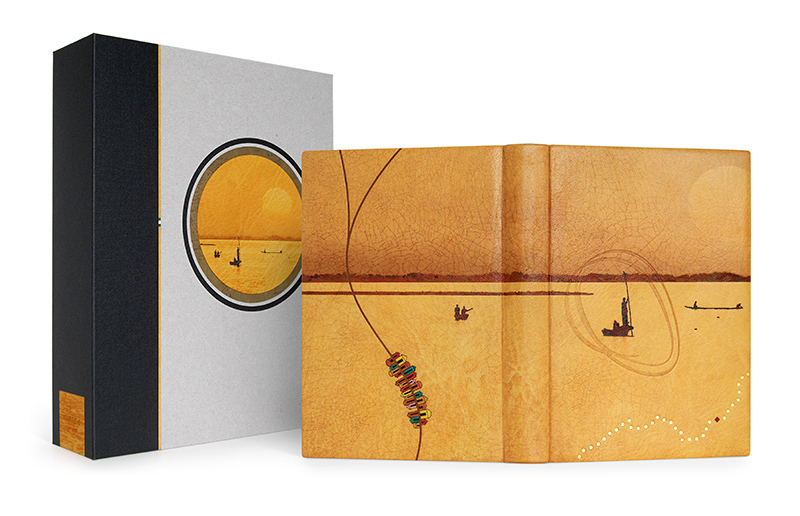 The book contains eight tipped-in original illustrations, hand painted by the binder. UKThe Enchanted GiftBound in leather with onlays and inlays. Pen & ink with watercolour washes on concertina Griffen Mill paper. Box as gift box in Whitchurch silk. 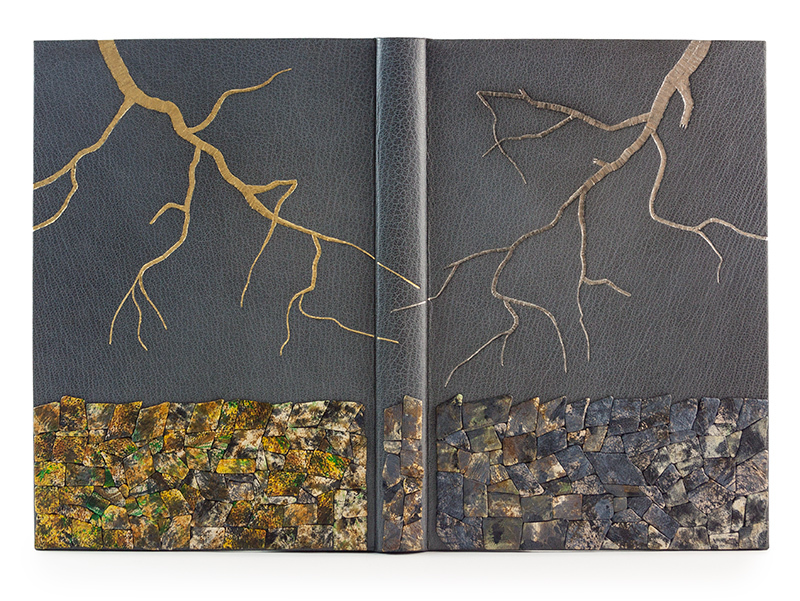 Case binding with black calfskin spine and silk covers. Two pieces of Japanese paper with black ink inscriptions are pasted on the covers. 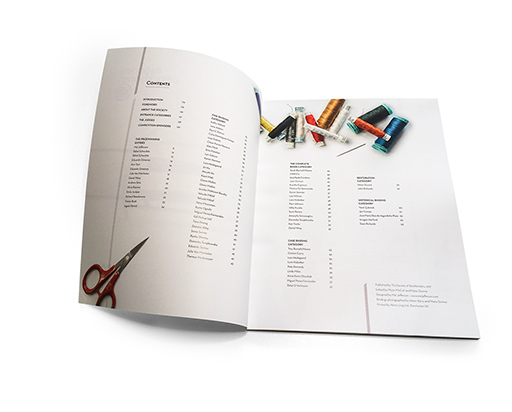 Fabriano grey paper endleaves. Title in gold on spine. 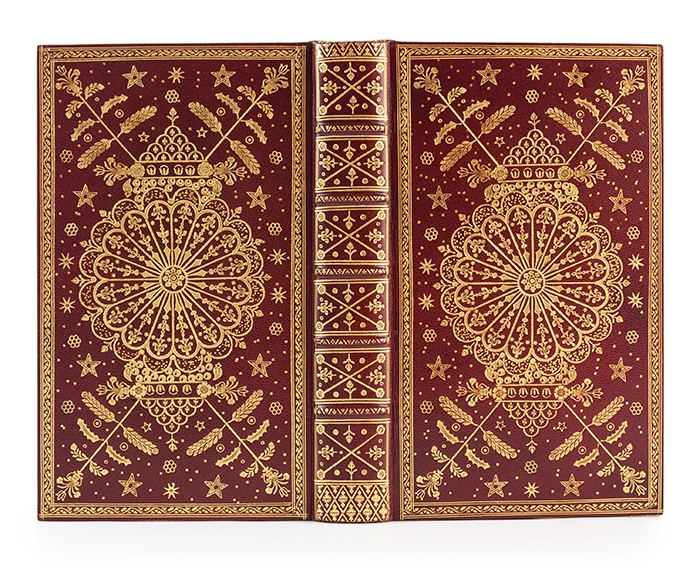 UKLeabhar Na’Urnuigh Choitchionn (Book of Common Prayer)An ‘homage’ binding in the 18th century Scottish wheel style in full hand-stained period morocco. Hand tooled using 23.5 carat gold leaf and egg glaire, the designs requiring over 800 individual impressions. 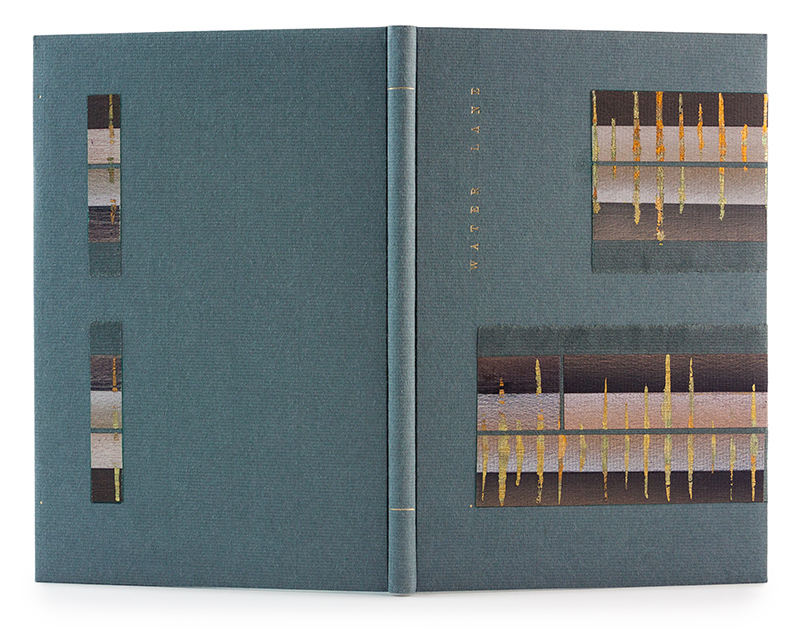 Antiqued gilt edges, comb-marbled endpapers, hand-sewn silk endbands. Saltire spine decorations, gilt rolls to board edges, headcaps and inner dentelles. Housed in a retrospective quarter calf clamshell box. 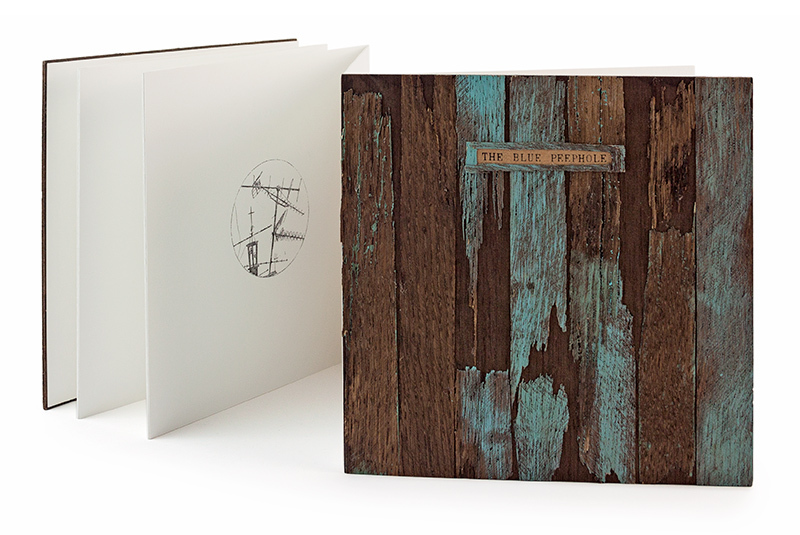 SpainThe Blue PeepholeAccordion binding in handmade wooden boards, designed and painted as an antique door. Original illustrations of houses and peepholes in black and white with transfer and ink techniques. Can be read in two directions. 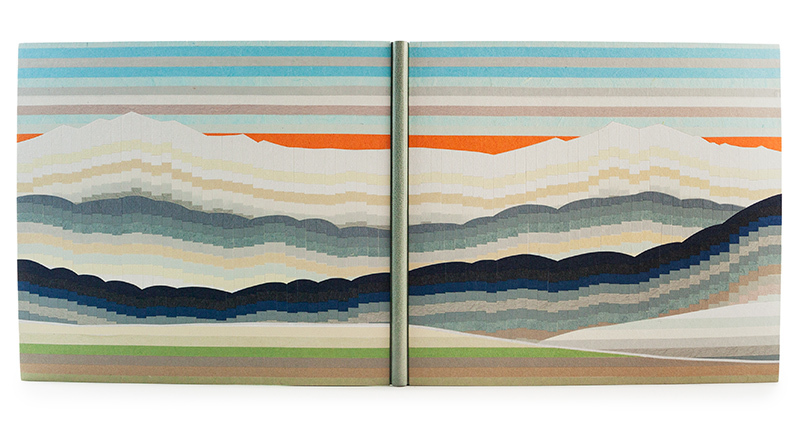 Wraparound box in pale blue fabric and tinted paper. UKA Shropshire LadBound in grey Harmatan goatskin. 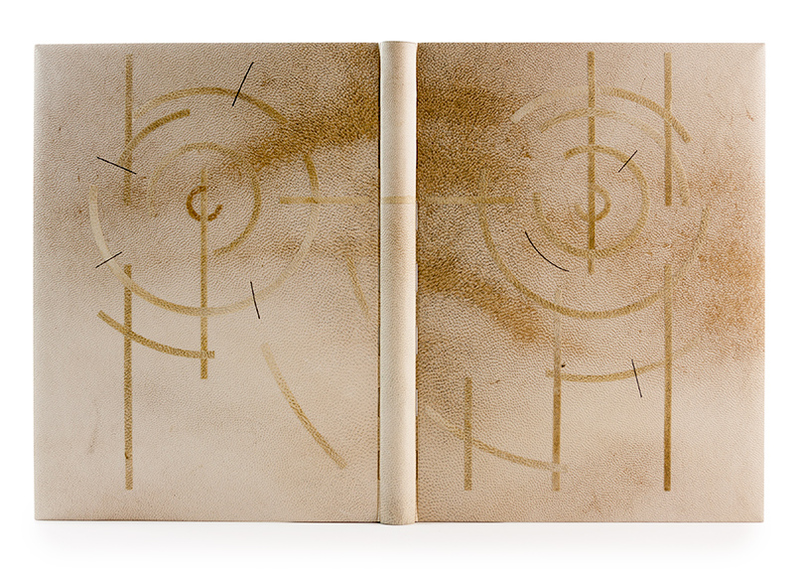 The endpapers and doublures are airbrushed with a leaf design. The stylized trees are tooled in 23.5 carat gold and caplain. The design was inspired by the poem Breedon Hill with its landscape of trees and dry-stone walls. The poem begins in summer but then winter comes and the death of the beloved. UKDuskThrough seven hand-cut wreaths from original drawings are glimpsed some of the large British moths. Sewn together in a double concertina 160cm long. The specimen drawings are adapted from Moths of the British Isles by Bernard Skinner. 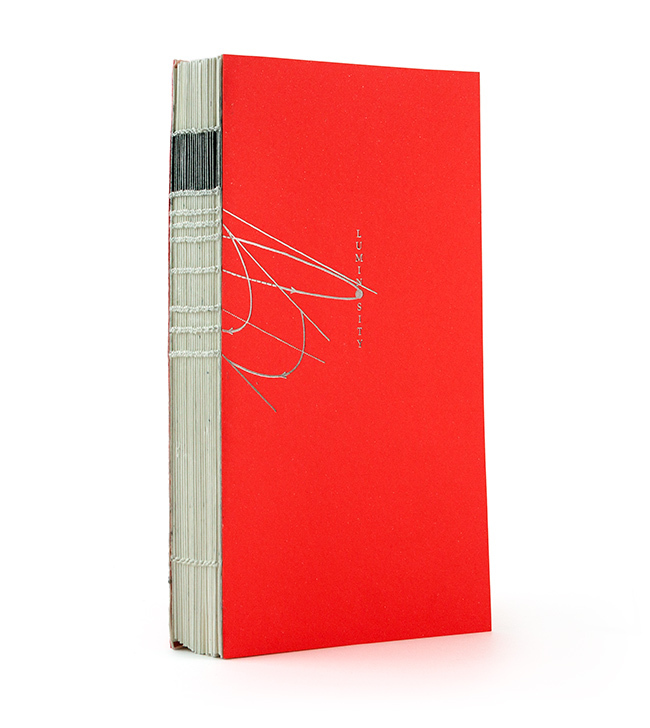 Bound in black Lokta screen-printed boards, depicting a collection of Peppered moths drawn at Chilcomb House, Hampshire. Black velvet ribbon ties. Duotone risograph prints on Hahnemuhle paper, printed at the Publisher Hub, WSA. Edition of 20. 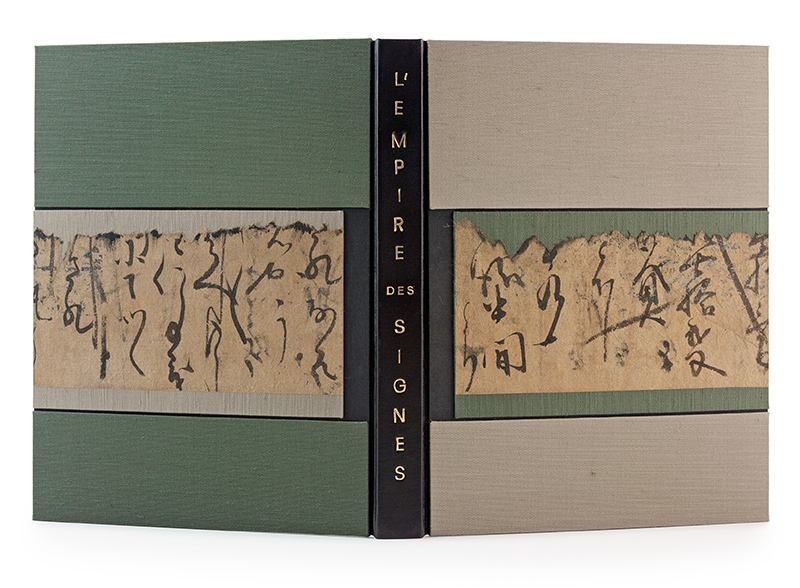 Japanese chitsu case, dark blue bookcloth boards lined with velvet paper. Hand-tied frogging ties. BelgiumEin KrippenspielBradel binding with leather spine, inlaid work with Japanese paper, ivory edge decoration at the head and orange leather endbands. Light blue half-leather box with title and inlaid work. Inspiration: a landscape in winter colours at sunset, where the story takes place.